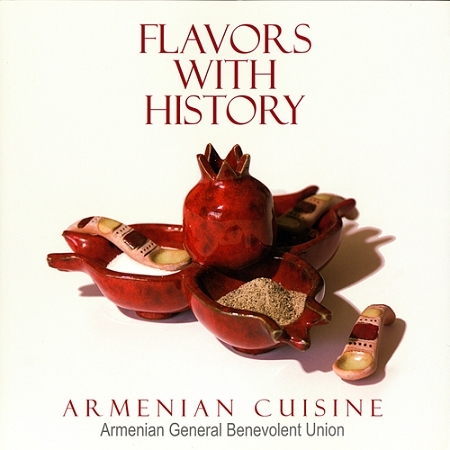 Flavors with History: Armenian Cuisine is a glossy, illustrated cookbook comprised of recipes from the various regions of historic Armenia. Divided into chapters with recipes from places like Van, Sis, Aintab, Marash, Urfa, Gesaria, Kessab, Yerevan and Artsakh among others, this book is unique in that it highlights regional cuisine and gives ample information on the now non-existent Armenian communities in each of the regions. The cookbook also includes special chapters on Lenten recipes, beoreks and desserts. The cookbook is a collaboration among a variety of families who trace their histories to different parts of historic Armenia. With their book, they hope to reach younger generations--especially those who cannot read their ancestral language--and help them identify with Armenian culture through the flavors of Armenian cuisine. This volume is a determined effort to disseminate regional cuisine and prevent it from falling into oblivion; these recipes traveled thousands of miles with the authors' grandmothers who sought to create, restore and bequeath culture with Armenian cuisine. This cookbook helps to keep it alive.